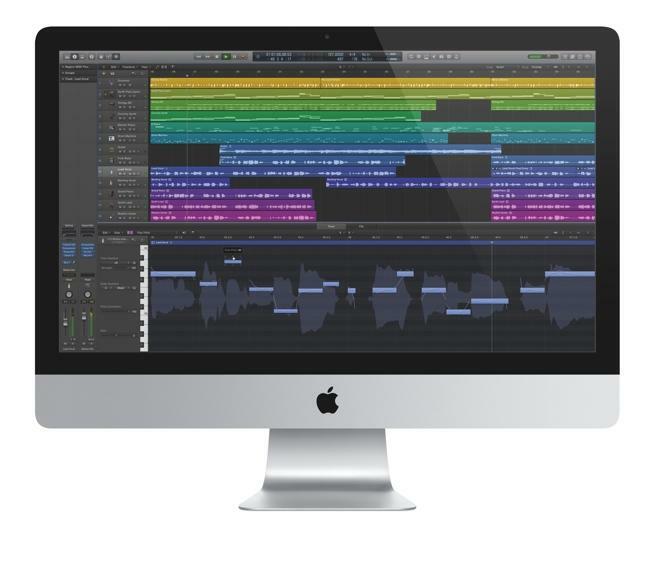 Apple on Tuesday launched Logic Pro X, the latest version of its digital audio workstation and MIDI sequencer for Mac, packing in new features like Drummer, Flex Pitch, and the accompanying Logic Remote for iPad, all for $200 on the Mac App Store. Logic Pro X's new Drummer feature allows users to access a virtual session player that automatically plays along with a song in a variety of drumming styles and techniques. And the Flex Pitch functionality offers integrated pitch editing for audio recordings. The Logic Remote app is a new way to play and control Logic Pro X from an iPad. Apple said the software will give musicians the flexibility to create and mix their music from anywhere in the room. "Logic Pro X is our most powerful version yet, with advanced tools and a modern new interface designed to streamline the process of creating professional quality music," said Philip Schiller, Apples senior vice president of Worldwide Marketing. "Musicians are going to love creative new features like Drummer, Flex Pitch, Track Stacks and the Arpeggiator." 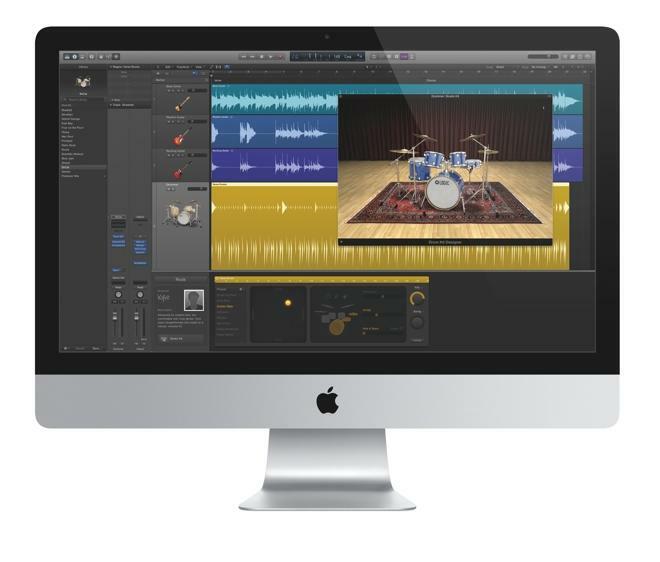 Apple said Logic Pro X has been designed with a modern new look while preserving and expanding the power and features that professional users rely on. The streamlined interface is said to provide access to advanced tools and functionality for more technical tasks, or it can be hidden to allow musicians to focus on being creative. Flex Pitch can help users fix out-of-tune vocals and even change the melodies of recorded audio by manipulating individual notes within an audio waveform. And Track Stacks will allow users to organize and collapse multiple tracks into one  or to create rich, layered instruments. Smart Controls allow users to to manipulate multiple plug-ins and parameters with a single move for quick and powerful sound design. And an improved Mixer helps manage mix sessions more efficiently, with increased visibility into signal flow and dynamics and faster ways to manipulate channel inserts. Apple also said Logic Pro X will expand Logic Pros rich collection of synthesizers and keyboards with more new instruments. The Arpeggiator is one of nine new MIDI plug-ins and can transform a simple keyboard chord into an elaborate performance. A new Retro Synth emulates some of the most popular classic synthesizer tones from the '70s and '80s, and Vintage Keyboards offer realistic models of electric pianos, B3 organs and clavs, with sophisticated tone-shaping controls. Bass Amp Designer allows bass players to play and record using vintage and modern bass amps, with cabinets and microphones that can be configured to build a custom bass rig. Logic Pro X also features an entirely new Sound Library with an updated loop collection and over 1,500 instrument and effect Patches that make creative use of Track Stacks, Smart Controls, the Arpeggiator and other new plug-ins. The accompanying Logic Remote app is touted as an innovative new way to extend the creative power of Logic by using your iPad. 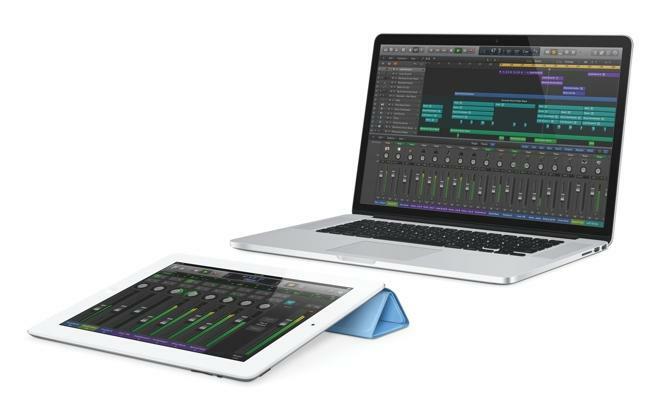 Designed to take full advantage of the iPad multi-touch display, Logic Remote gives users new ways to record, mix and even perform instruments in Logic Pro X from anywhere in the room, turning their iPad into a keyboard, drum pad, guitar fretboard, mixing board or transport control. Also released on Monday was a major update to MainStage, the live performance companion app for Logic Pro X. The software turns a user's Mac into a live rig that can make it easy to bring sounds from the studio to the concert stage. The newly updated MainStage 3 features a new user interface and maintains compatibility with the new Logic Pro X plug-ins, patches, and smart controls. Logic Pro X and MainStage 3 are now available from the Mac App Store for $199.99 and $29.99, respectively. Logic Remote is also available as a free download from the App Store.